Each year Zend Technology organizes an event called PHP 2013 – Zendcon. This year the IBM SmartCloud Application Services team will be glad to see you there. We will provide a presentation on how to “Develop, Deploy and Update a Mobile Application in the Cloud in 60 Mins or Less” using the SmartCloud Application Services. SmartCloud Application Services provides services to manage the lifecycle of application by using the Collaborative Lifecycle Management Service and the Workload service which supports the Zend and IBM Worklight technologies. Join us at our presentation and/or at the booth. 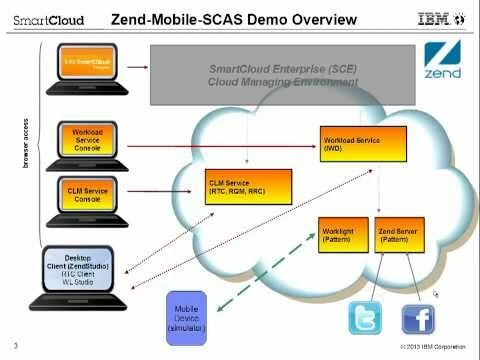 This entry was posted in IBM SmartCloud Application Services, Zend on SCAS by ITDoVe. Bookmark the permalink.